Streetfilms are an easy and fun way to show how livable streets best practices from around the world can create better places to work, live and play. The easiest way to start changing your world is to share Streetfilms with your friends, family, neighbors, community groups and public officials. Also, be sure to sign up for our newsletter to stay up to date on what's happening at Streetfilms. 1. Share Streetfilms far and wide. 2. Share Streetfilms with your elected officials. Create support of livable streets projects by sharing Steetfilms with your elected officials. Check out this great story about Streetfilms influencing new protected bike lanes in Sydney, Australia. “Seeing what others around the world are doing...gives us strength. 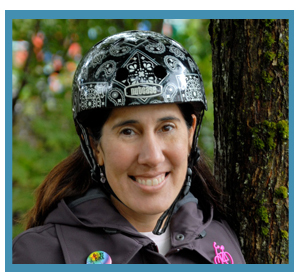 Streetfilms is of great value,”Fiona Campbell, the Manager of Cycling Strategy in Sydney. “Thank you for your great contribution to our city.” - Fiona Campbell, Manager of Cycling Strategy, Sydney Australia. 3. Buy DVDs and Organize a Screening. Put livable streets in the spotlight by organizing a public screening. Click here to order DVDs. Check out this page for tips on hosting a screening in your community. Also, request that your local library or community media center purchase a Streetfilms DVD to include in their collection. 4. Make your own Streetfilm and submit it to be featured in our Community Showcase. Check out Streetfilms University for tips on making high impact advocacy videos, then submit your video to be featured in our Community Showcase. Integrate Streetfilms into your educational activities and institutions. 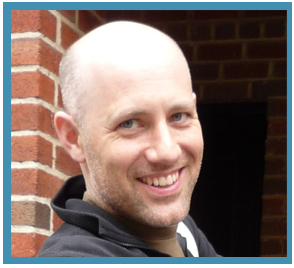 Check out the Moving Beyond the Automobile curriculum for lesson planning ideas. Dozens of teachers have used the curriculum to bring livable streets issues into their classrooms. 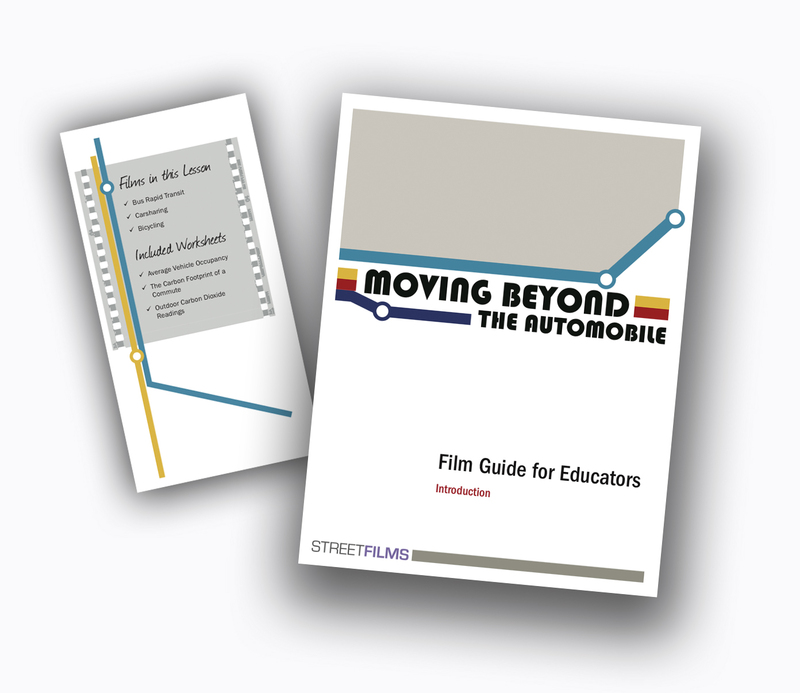 Also, request that your school's library or media resource center acquire the Moving Beyond the Automobile DVD for its collection. 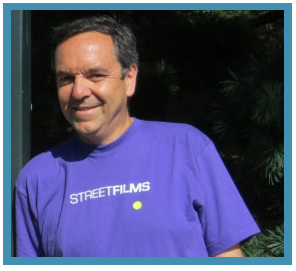 Click on the photos to see how these livable streets super stars use Streetfilms to influence change.